The Capital One® VentureOne® Rewards Credit Card rarely gets much attention outside of its own website since the big brother Capital One® Venture® Rewards Credit Card has stolen the spotlight through national ad campaigns. But the Capital One® VentureOne® Rewards Credit Card holds its own thanks to word-of-mouth and a not-ungenerous 1.25 miles per $1 spent on all your purchases. Sure, that's less than the better-known sibling's two-miles-per-$1 offer, but with no annual fee, the Capital One® VentureOne® Rewards Credit Card could be just the right "no-strings-attached" fit for a rewards-card seeker who just doesn't travel enough or spend enough on credit cards to justify an annual fee. Plus, right now VentureOne® cardholders, just like Venture® cardholders, can earn 10 miles per $1 spent when they use their card to book a stay on Hotels.com/Venture. That's in addition to the Hotels.com rewards program through which you earn a free night stay for every 10 nights booked. Enjoy a one-time bonus of 20,000 miles once you spend $1,000 on purchases within three months from account opening, equal to $200 in travel. Earn unlimited 1.25 miles per $1 on every purchase, every day, and pay no annual fee. Earn 10 miles per $1 when you use your card to make bookings on Hotels.com/Venture. Enjoy a 0 percent intro APR on purchases for 12 months (then, 14.24% - 24.24% (Variable)). Miles won't expire for the life of the account and there's no limit to how many miles you can earn. Take advantage of earning 10 miles per $1 spent when you use your card to book stays on Hotels.com/Venture. Earn 1.25 miles per $1 spent on all your other purchases, every day. All of the flexibility of the Capital One® Venture® Rewards Credit Card without the annual fee. Opportunity to earn a great early spend bonus of 20,000 miles (equal to $200 in travel credit). If you plan to spend $10,000 or more annually, the Capital One® Venture® Rewards Credit Card may be a better choice to earn greater rewards. When we called the Capital One® VentureOne® Rewards Credit Card a "no strings attached" card above, we meant it. While some rewards credit cards, particularly travel rewards cards, have an introductory no-annual-fee offer for the first year, many expect you to pay a fee every year after that. With the Capital One® VentureOne® Rewards Credit Card, this is something you'll never have to worry about, which means you don't need to work through the math of whether you'll earn enough rewards in a given year to offset the fee. And though you might not earn as many miles per purchase as with the $95-per-year (fee is waived for the first year) Capital One® Venture® Rewards Credit Card, the Capital One® VentureOne® Rewards Credit Card does still allow you to rack up 1.25 miles for every $1 spent; offers a nice welcome offer of 20,000 miles after spending $1,000 in the first three months; and as an added bonus, has 0 percent interest APR on purchases for the first 12 months (then, 14.24% - 24.24% (Variable)). These perks, along with no annual fee ever, certainly make the Capital One® VentureOne® Rewards Credit Card one to not overlook. Plus, if you do find yourself traveling abroad, you'll save a bundle since this card doesn't charge foreign transaction fees. No annual fee is great, but those looking for a rewards card that will gain miles quickly might become frustrated with the 1.25 mile per $1 ratio. While the no annual fee perk makes the Capital One® VentureOne® Rewards Credit Card a great option for those who have time to work on their mile accumulation, those wanting to gain miles fast might want to consider a card with a higher mile-to-$1 ratio. 1.25 Miles per dollar on every purchase, every day. Do you and your family only have a couple long weekends on the horizon, or are you dreaming of a year of jetsetting? Choosing between the Capital One® VentureOne® Rewards Credit Card and the Capital One® Venture® Rewards Credit Card just requires you to know your annual "break-even point." Both the Capital One® VentureOne® Rewards Credit Card and Capital One® Venture® Rewards Credit Card feature one-time bonus offers for new cardholders. The Capital One® VentureOne® Rewards Credit Card offers a one-time bonus of 20,000 miles once you spend $1,000 on purchases within the first three months, equal to $200 in travel, and the Capital One® Venture® Rewards Credit Card offers a one-time bonus of 50,000 miles once you spend $3,000 on purchases within the first three months, equal to $500 in travel. If you are looking at bonus offers alone, the Capital One® Venture® Rewards Credit Card is a clear front-runner for the slot in your wallet reserved for a travel rewards card; however, if you don't spend very much on credit cards or don't travel that often, the Capital One® VentureOne® Rewards Credit Card becomes a better deal as the years pass. Quick math estimates that, after the Capital One® Venture® Rewards Credit Card annual fee kicks in (it's $95 after the first year), you'll have to spend about $8,000 on the card every year to break even. If you're funneling every monthly expense, vacation charge and supermarket purchase to your travel rewards card, you'll hit that mark pretty quickly each year. If that's not for you, the Capital One® VentureOne® Rewards Credit Card gives you the ability to earn rewards for travel without spending a dime on annual fees. Similar to the Capital One® VentureOne® Rewards Credit Card, the Wells Fargo Propel American Express® Card is a no-annual-fee card that has no blackout dates and allows you to travel any airline and stay anywhere at anytime. Though similar in that aspect, these two cards differ a bit when it comes to earning miles/points, as well as in rewards offers. With the Capital One® VentureOne® Rewards Credit Card you can earn a whopping 10 miles per $1 spent when you use your card to book stays on Hotels.com/Venture. Beyond that, you earn 1.25 miles for every $1 spent on other purchases. With Wells Fargo Propel American Express® Card, you earn 3 points for every dollar spent on gas, rideshares, and public transportation, flights, lodging, car rentals and even popular entertainment streaming services such as Spotify Premium and Netflix. You earn 1 point for every dollar spent on all other purchases. Neither card has a cap on the number of miles/points you can accumulate. However, the Wells Fargo Propel American Express® Card offers an additional benefit in that you will be eligible for cell phone protection against covered damage and theft when you pay your bill on the card (deductible and terms apply). The Capital One® VentureOne® Rewards Credit Card has an easily reachable introductory bonus offer of 20,000 bonus miles (worth $200 in travel) when you spend at least $1,000 on qualifying purchases over the first three months you have the card. The Wells Fargo Propel American Express® Card offers 30,000 bonus points ($300 cash value), when you spend at least $3,000 over the first three months you have the card. Both cards have an introductory offer of 0% APR on balance transfers and purchases for the first 12 months. After that, the Wells Fargo Propel American Express® Card has an APR of 16.24%-27.24% Variable, compared to 14.24% - 24.24% (Variable) for the Capital One® VentureOne® Rewards Credit Card. If you're looking for a card with a similar welcome offer, or maybe something that'll gain you miles a little faster, the Barclaycard Arrival Plus® World Elite Mastercard® might be a worthy option to consider (See Rates and Fees). 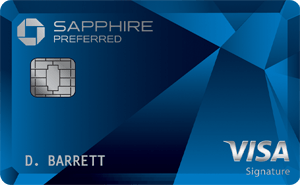 Unlike the Capital One® VentureOne® Rewards Credit Card, the Barclaycard Arrival Plus® World Elite Mastercard® charges an $89 (waived first year) annual fee; however, with this card, cardholders will earn two miles for every $1 spent and will earn a 70,000-mile bonus after spending $5,000 on purchases within the first 90 days of account opening. That's enough to redeem for a $700 travel statement credit. As an added bonus, as a Barclaycard Arrival Plus® World Elite Mastercard® cardholder, you will receive 5 percent of your miles back each time you redeem to use toward your next redemption. For example, if you redeem 70,000 miles (worth a $700 credit), you will receive 3,500 miles back to put toward your next redemption. Though it has some nice reward offers, the downside of the Barclaycard Arrival Plus® World Elite Mastercard® is that annual fee, which might be off-putting to some, especially when comparing it the the no-annual-fee status you'll enjoy with the Capital One® VentureOne® Rewards Credit Card. This is again a situation where you need to understand your spending habits and break-even point to determine whether the annual fee is worth it. Who Should Get the Capital One® VentureOne® Rewards Credit Card? The Capital One® VentureOne® Rewards Credit Card is a great option for those who are in no hurry to cash in on their miles, and who have some time to work on their mile accumulation while enjoying no annual fee. 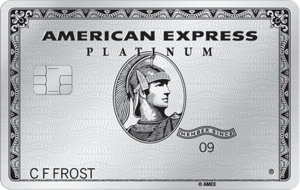 Plus, if you're just looking for a card that earns miles in the background while you go about your daily spending, this one won't disappoint thanks to its simple, flat-rate earning structure.